The long silence after the previous post could have been interpreted either way, right? Either we got the house and I have been too busy to blog, or we didn’t get the house and I have been too upset to blog. Fortunately, it is the former. We did indeed get the house, and it’s been really, really good. It’s not a perfect house (what house ever is, even if it’s worth millions?) but it is hard to imagine a better fit for us at this time. Plus, nothing beats knowing that we no longer have to move at the whim of a landlord. All we have to do is pay the mortgage on time and we can stay here forever if we want to. Paying the mortgage has been tough, though. 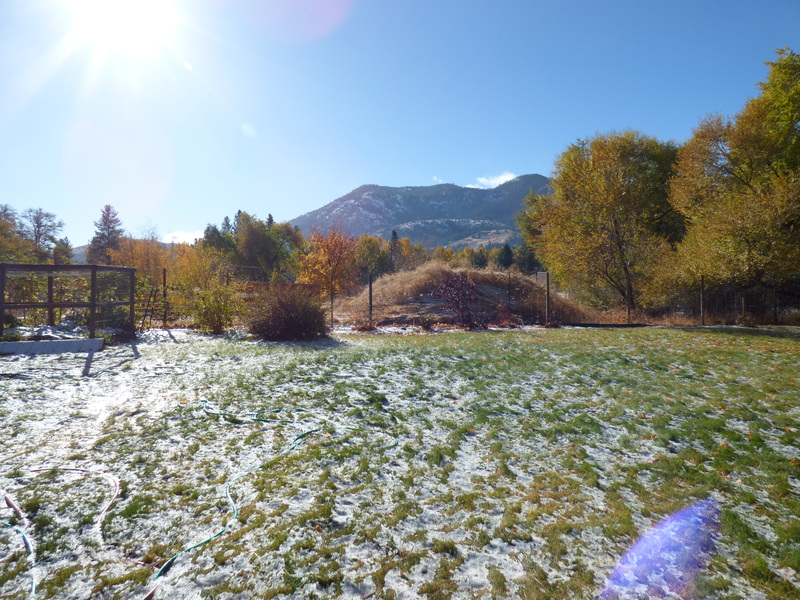 There are also other costs that we didn’t have in our rental: water, sewer, garbage, recycling, snow plowing… And our electricity costs are higher because the water heater and the kitchen stove are electric instead of gas. I was counting on being able to decrease certain other expenses but this did not happen, and P. is still unable to work. So, I find myself reluctantly pulling out the credit card at the grocery store and at the pump for several days prior to each pay day. Thank God we have a roommate. If we are not really able to make ends meet even with the rent income, I don’t know where we would be without it. A friend we met last fall had gone traveling for half the summer, got back to town right after we moved in, and needed housing for the winter. He moved into the front bedroom within a couple of weeks and for the most part this arrangement has worked out really well. Financial considerations are not the only reason we’re thankful for our roommate. We’ve realized that we do much better with another person around. It helps P. get out of his head – really, helps both P. and me get out of our heads, and sometimes out of each other’s hair, too. Having someone else in the room with you, even if they don’t understand when you speak to each other in your native language, forces you to be civil in a way that nothing else can. Thank God also for neighbors. Another life-saver – or sanity-saver, which is really the same thing – for P. We’ve met all the neighbors on our (short) street and have become particularly close with our most physically proximate neighbor, an older man who lives alone and is mostly homebound due to health issues. We try to help out with small tasks when we can, and P. will sometimes walk over to his house just to chat for a bit. This would have been impossible had we settled in a more rural part of the valley. When we lived in our rental, our closest neighbors up and down the road were a quarter mile away or more, and because of hills and bends in the road, we could not see their houses from our home. (There was another house directly across the road but it was unoccupied almost the entire time we lived in our rental, with the exception of the first month or two.) The privacy was hard to beat but I know the isolation would start bearing down on us sooner or later; in fact, I am sure it did, even if we did not realize it. There are also, of course, many things we have not done yet. 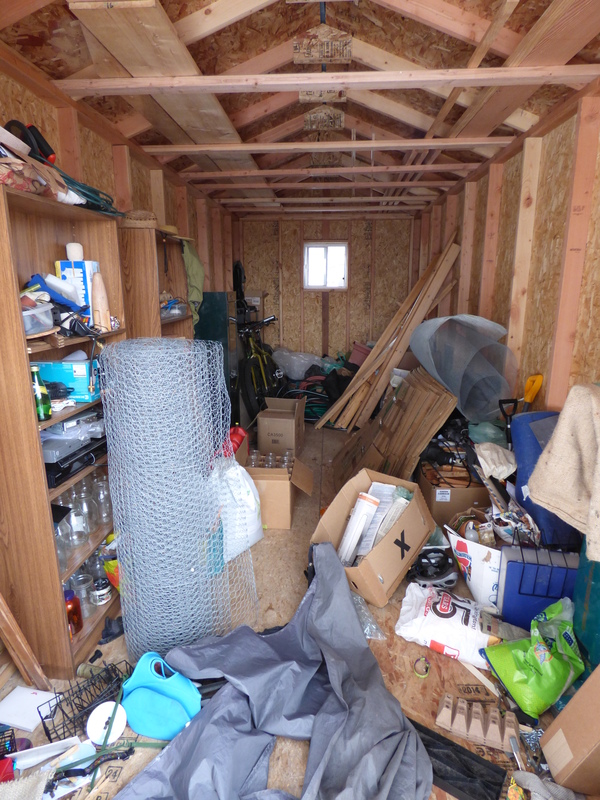 The storage shed is a mess of stuff piled on the floor and even outside in the snow. Our bikes are sitting out in the snow, half-submerged. The beautiful sun room, by far the best feature of the house, is a mess of construction materials, tools, and random items that were rescued from the snow around the shed. 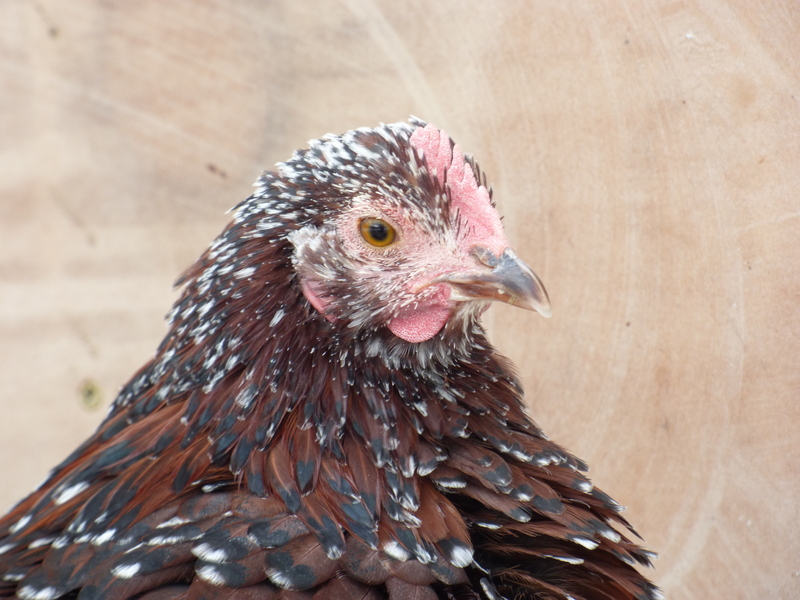 The vegetable garden area has been turned over to the chickens, meaning we don’t have a place to plant food come spring. That mattress I mentioned is sitting on a box spring which is sitting on the floor, with the still-to-be-assembled bedframe leaning against the bedroom closet door. We haven’t figured out a way to keep the floor clean, tracking in dirt despite all the doormats (one just inside the back door, two outside the front door). Still, it feels like home. A few weeks after moving in, P. and I marveled at how quickly we were able to make the house livable in a basic way, unpacking nearly all the necessary items, filling the closets, setting up the furniture, putting books and CDs on shelves. We have not made the house beautiful, and to be honest I don’t know if we ever will. We are unlikely to ever have enough money for a major remodel or beautiful artwork or new furniture or even a nice lamp. However, we feel comfortable here. We feel like the house works for us. I’m surprised how little the typically grumpy P. has complained about the less than ideally placed windows, the bright floodlights in a couple of neighboring yards, the ridiculously low ceiling in the living room. I feel like he’d be going on about all this, and more, constantly if this was a rental. Maybe we’re still in the honeymoon stage with the house. Perhaps we will start focusing more on the shortcomings later, when the novelty and excitement wear off. If this does happen, I hope that we will still remember to be grateful for what we have. A place to call our own. A place to make our own.